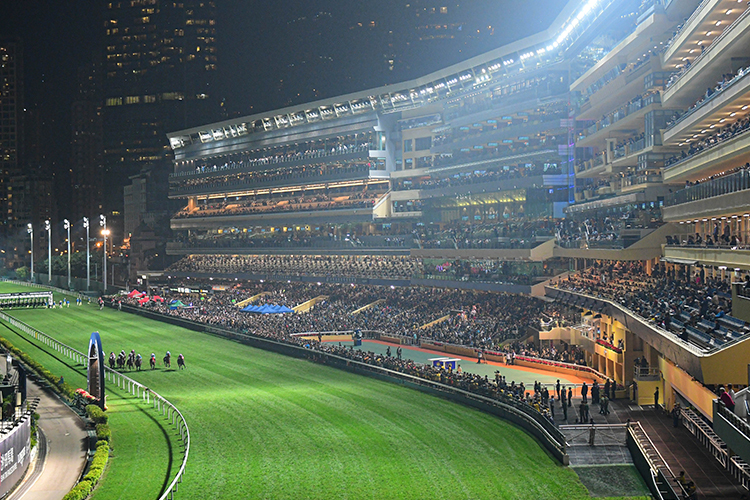 Selections and Analysis for Wednesday’s race meeting at Happy Valley. #4 The Sylph has relished the drop to Class 5 racing and in his latest he finished an eye-catching third. He’ll improve out to 1650m and under Karis Teetan, get his chance. #8 Wonderful Tiger is winless from 23 starts in Hong Kong. He’s capable of putting himself into the race and his two runner up efforts previously have come over this distance. He deserves respect. #10 Bonito rocketed home to finish second by a neck last start. He’ll need to overcome the wide draw, but he’s nearing a winning mark. #6 Kwaichung Brothers got his second win three starts back. He’s finished unplaced in his last two, but gets a handy claim from Dylan Mo (-3lb). #1 Look Eras has drawn ideally and Joao Moreira is expected to use the gate (1) and lead with him. He’ll make his own luck and prove tough to catch. #6 Gunnar is on debut for Caspar Fownes. He scored under his own steam in a recent trial at Happy Valley and displayed plenty of natural talent. He’ll push forward and give himself every chance. #5 Bandy was taken back to last in his most recent trial effort, however he did manage to close off strongly. He’ll make an impression on debut. #8 General Iron is a three-time winner from 56 starts. He’s placed in two of his last three and commands respect. Fast pace will suit #2 Waldorf. He was a last-start winner over this course and distance and he’s capable of going back-to-back here for Cruz/Teetan. #8 Noble Delight has looked a likely winner in recent starts but things haven’t quite gone his way. He’s capable of pushing forward again and giving himself every chance. #7 Fantastic Fabio is a four-time winner over this course and distance. He’s struggled since rising to Class 3, but his two all-the-way wins this season at Happy Valley (1200m) command respect. He’s the value. 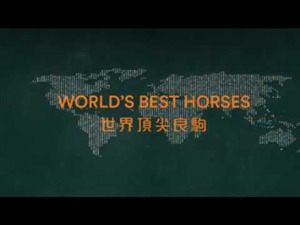 #5 Nordic Warrior won the first race ever conducted at Conghua less than a month ago. He deserves respect. #7 Curling Luxury is expected to lead from the gate (1) under Moreira. He led and faded to third last start, but there was plenty of merit in his performance. He’s a four-time winner over this course and distance who is capable of scoring another. 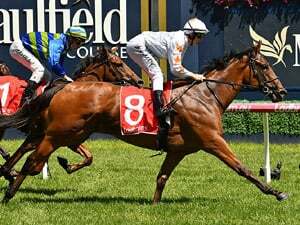 #2 Naboo Star is doing everything right except winning. He’s placed in his last three starts and since his debut run has finished no worse than 1.75L off the winner. He’s nearing a breakthrough win. #6 Polymer Luck is a winner already this season over this course and distance. He’ll use the draw (4) to push forward and he’s racing well enough to finish around the mark yet again. #3 Mister Monte needs a lot to go his way, but if he can overcome the wide draw, he’s a contender. #1 Blitzing struggled on the dirt last start behind Winner Supreme. He’s a three-time winner this season who should improve significantly back on the turf. #2 Ballistic King was enormous on debut last start. He did everything wrong and his erratic style of racing arguably cost him a debut win. Suspect he’ll use the draw to push forward and settle on the speed. #5 Endearing has been consistent across his 31-start career. He’s returned to form since training at Conghua. #3 Harrier Jet hasn’t been far away this season, albeit without winning. He scored late in his prep last season and he remains an interesting contender in here. Competitive Class 4. #1 Oriental Elite was dominant last start when winning. He received an eight point ratings-rise off that win which will see him carry 133lb. He appears to have enough raw talent to win again. #11 Very Sweet Orange is the likely leader. He struggled last time on the dirt, but he was gallant in defeat two starts ago on the turf. He’ll make his own luck. #10 Royal Chocolate has been consistent having placed in three of his last four. #3 This Is Class got off the mark last start. Francis Lui and Vincent Ho have been a dynamite combination all season and another success would not surprise. #1 Ka Ying Star was a winner at his Hong Kong-debut and prior to that he placed twice, before a last start 10th in the Hong Kong Derby. He’ll lead and prove tough to catch at Happy Valley. #6 Rivet hasn’t been seen since January. He settled last that day, but did manage to close strongly for sixth. He’s racing well and deserves respect out to this trip. #3 Circuit Glory will push forward. He rarely runs a bad race and his two wins over this course and distance this season should see him in the finish. #7 Turin Redstar has been racing consistently this season. 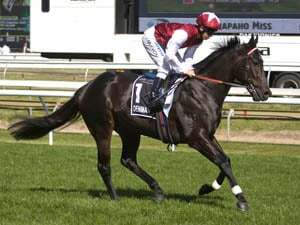 He’ll improve dropping back to 1650m. 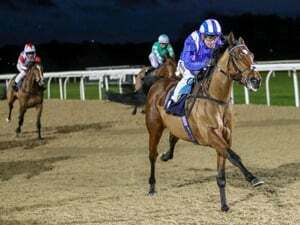 #6 Last Kingdom finished a narrow second at his most recent. The soft draw (2) suits and this could be his chance to breakthrough. Neil Callan’s hard-riding style of racing will ensure he gets everything out of him. #1 Marzouq closed nicely at Sha Tin to finish second. He has the wide draw (11) to contend with, but Joao Moreira should have him midfield before producing him at the right time to get his chance. #12 Cinquante Cinq rises to Class 3. He was a winner last start and with improvement, he’s expected to go close. #5 Amazing Satchmo placed last start and he can’t be overlooked. Voyage Warrior’s blazing debut win last month ranks as one of this season’s “wow’ moments and the speedy three-year-old will attempt to repeat that performance on Monday, 22 April at Sha Tin.